﻿ Pension Londres, Granada | FROM $41 - SAVE ON AGODA! "This is a nice quite location." Have a question for Pension Londres? "Overall the stay was wonderful and would recommend." "Perfect location, nice view, wonderful panorama terrace and very kind hosts." "The view is amazing you sit outside the balcony and look at..."
Well-placed in the sightseeing, culture, restaurants area of Granada city, Pension Londres provides a most conducive spot for you to take a break from your busy days. The hotel is not too far from the city center: just 0.0 Km away, and it normally takes about 45 minutes to reach the airport. With its convenient location, the hotel offers easy access to the city's must-see destinations. 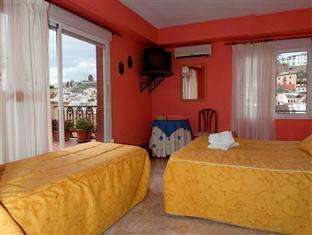 Pension Londres also offers many facilities to enrich your stay in Granada. This hotel offers numerous on-site facilities to satisfy even the most discerning guest. Hotel accommodations have been carefully appointed to the highest degree of comfort and convenience. In some of the rooms, guests can find television LCD/plasma screen, air conditioning, heating, desk, mini bar. Besides, the hotel's host of recreational offerings ensures you have plenty to do during your stay. Whatever your reason for visiting Granada, the Pension Londres is the perfect venue for an exhilarating and exciting break away. "The location is great to access to many popular spots of the..."
From the time we walked in the owner was very nice and helpful. It felt like you were visiting a family member. She got us situated, gave us some recommendations on restaurants and send us on our way. Everything is walkable, the malls, grocery store is about a block away, malls is about 800m, restaurants all around and of course the main attractions such as the museums and Alhambra, Sacromonte, Gypsie Caves, generalife, paseo del los tristes, mirador San Nicolas and the old basilica. This is a nice quite location. The view is amazing you sit outside the balcony and look at the Alhambra castle. Can’t beat that. The bathrooms were clean, two available at all times with showers, no communal kitchen only a small fridge out in the lobby area to place drinks or small stuff. Save location. Overall the stay was wonderful and would recommend. The host is very friendly and provides many useful information. 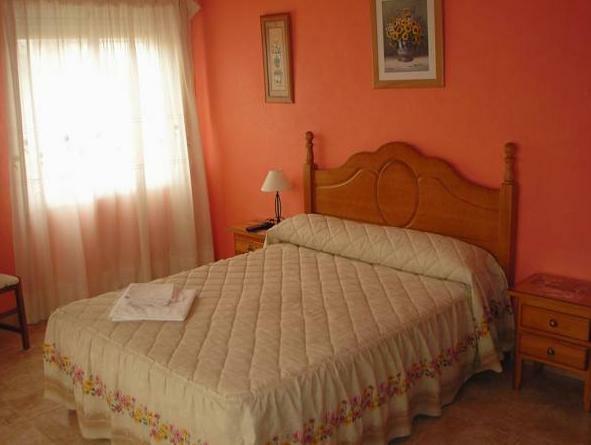 The location is great to access to many popular spots of the city. Perfect location, nice view, wonderful panorama terrace and very kind hosts. Highly recommended! Bien comunicado y hostess amable. 위치가 대성당 근처라 아주 좋습니다. 방도 가격대비 깔끔하고 넓으며 방 안에 세면대가 있어서 편합니다.